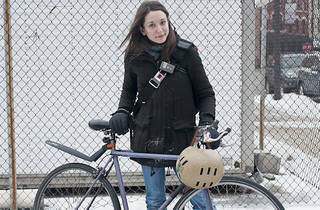 Five tips for winterizing your bicycle. Greasy rider Inclement weather coupled with salty roads makes for bike corrosion. Try regular sponge baths and maintenance of your bike’s drivetrain—everything from the chain to the sprockets to the pedals. 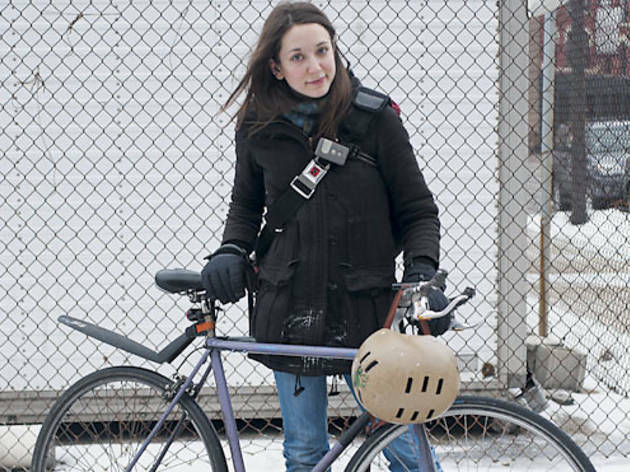 “Get a chain-cleaning tool and a good chain lube and use both every week to ten days,” says Kevin Conway of advocacy group Chicago Bike Winter. Rubber meets the road “Tire choice is a contentious issue for winter riders,” Conway says. The conventional wisdom is that knobby, wide-tread tires perform better on snow and ice, but some riders insist skinny tires cut through slushy roadways. Let it shine Working bike lights are more important in the dark winter months. Pro tools From Wednesday 31 to the end of February, both locations of Rapid Transit Cycleshop offer a $190, season-long maintenance program for winter riders (referred to as “the Frozen Chosen”). After a mechanic gives your steed a full tune-up, you can pop in for a wash, lube and adjustments as needed.